Whether the wedding is a beachfront fete or a black-tie affair, every couple wants their wedding photography to be picture perfect. Now, more than ever, there are countless ways to chronicle your big day in pictures. Here are some of the biggest trends in wedding photography today. Thanks to digital cameras, the days of flashcubes and dark rooms have given way to higher quality pictures that are less expensive and faster to produce. Wedding Photographers can snap almost unlimited shots without having to reload film or intrude on the moment. Forget having to wait agonizing months to finally see your ceremony negatives. Within weeks, photographers can post event pictures online for easy viewing. Friends and family of the bride and groom can also browse through the photos and order prints of their favorites. Not to mention digital pictures are a snap to store on a DVD or computer and can be printed over and over again. 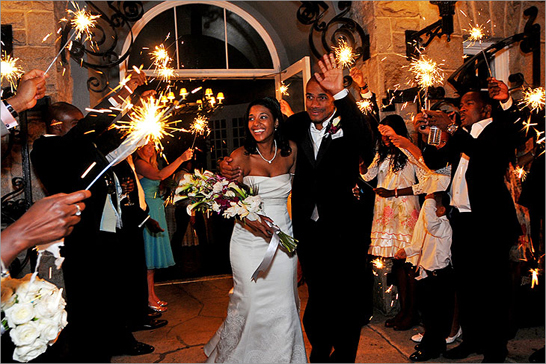 In recent years, a new style of wedding photography called photojournalism has become wildly popular amongst newlyweds. Instead of snapping staged shots — and those inevitable forced smiles — photojournalistic photographers focus on telling the story of your special day as it unfolds. From the pre-ceremony preparations to the last dance, they capture the events with wedding photography that elicits the unique emotions of the wedding experience. Whether it's the bride's heartfelt hug with her grandpa or the best man's dance with the flower girl, this style catches the spontaneous and touching moments in an artistic and unobtrusive way. Some couples are opting to have wedding photography taken in a style inspired by the pages of fashion magazines likeInStyle or Vogue. This type of wedding photography plays up the glamour and romance of the day. Images of the bride and groom are shot in an artistic manner and later edited to get a high-fashion look. Move over Tom and Katie! Non-movie star couples can look like celebrities too with special photography techniques both behind the camera and in the editing room. The possibilities are practically endless to soon-to-wed couples today. Can't decide between black and white photos or color? Do both. Traditional wedding photography or photojournalistic style? Try a combination of the two. Don't want to miss the reception while you're posing for pictures? 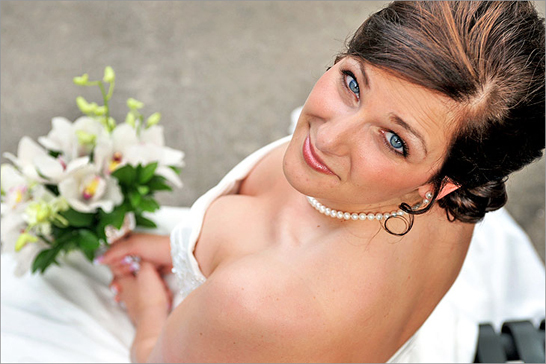 Wedding party shots can be taken before or after the ceremony so you can enjoy it. The one trend that never goes out of style is being true to yourself. Because you only get one chance to take pictures of your ceremony, make sure your wedding photographer has a good sense of what you have in mind. Be sure to discuss the possibilities and communicate your likes and dislikes clearly. Agreeing upon a wedding photography style before it's time to say "I do" will help ensure your photos turn out the way you want. And most of all, don't forget to smile and enjoy your big day!